Do you run a market garden or a small organic farm? Are you growing any West Coast Seeds products? Send us some photos! Use your cell camera or your fancy SLR, but take some pictures and send them our way. In return for your photos, we will post them here and on our Facebook page, with information about your farm, your farm store, and anything else you would like the public to know. Tell us about your farm. Where do you grow? How big is your farm? How long have you been farming? Do you have CSA spaces available? 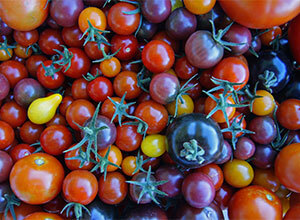 Does your farm have You-Pick crops? What did you think of the crop in question? Let us know what we can share with the public to increase traffic to your farm, your website, or your social media pages. 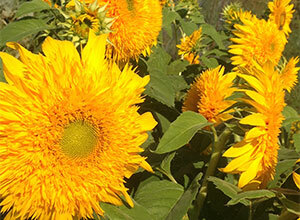 Send your Market Garden Photos to gardening@westcoastseeds.com and let us provide your farm with some free publicity! 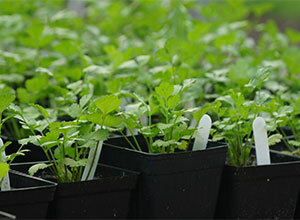 We just finished sowing cilantro, basil, onions, and leeks this morning. Your Spanish Eyes lavender seeds have germinated (95%) and look wonderful! Tomatoes are looking great, as always. 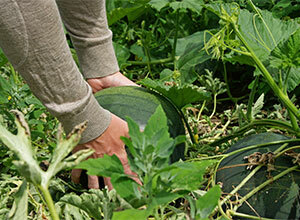 The sugar baby watermelons we grew last summer were a huge hit with our customers! I can’t wait to grow them again this season. We are a first generation family farm located in Comox, on Vancouver Island. Our farm was established 23 years ago. We believe in the humane and loving treatment of our animals, sustainable organic growing practices, and sharing the farm with our community. Our road-side stand is open May through September, we wholesale to select stores, and our farm gates are open to the public every July and October for You-pick lavender and pumpkin crops. Admission is always free to our farm. Please have a look at our website, and follow us on Facebook. We grow in Ottawa, ON. 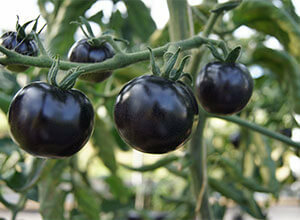 We are in our 3rd year growing vegetables, flowers & herbs for market garden and CSA members. We currently grow on 1/2 acre but are increasing to over 20 acres this season! 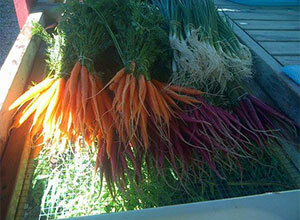 We have CSA shares available sign up can be done on our webpage. Please also “like” our Facebook! We are Inner City Farms, an urban farming company based in Vancouver that partners with land providers (home ownersand local businesses) to convert front and back yards, as well as urban spaces, into productive vegetable farms. With over 20 sites around Vancouver, we are grateful to be able to farm in a diversity of landscapes, each of which is unique in terms of which crops it can support relative to its soil, micro-climate and water availability. Often this means getting quite creative on our end, but it’s worth it when you realize just how much food you can produce in a residential space! Our vegetables are made available to the community (which includes: restaurants, families and community members, and local food security initiatives) primarily through a Community Supported Agriculture Program (CSA). We grow all of our food using organic practices and, following this mindset, buy the majority of our seeds from West Coast Seeds. One of our all-time favourite seeds to grow are Dragon Tongue Bush Beans. Beautifully crunchy and delicious, they are a special Heirloom treat for our shareholders, and easy to grow for us as the plants themselves don’t get very big, but the beans sure do! Check out our website: www.innercityfarms.com, follow us on Instagram @innercityfarms, Twitter @inner_cityfarms, and find us on Facebook. Also make sure to stop by Le Marché St. George on Sunday afternoons and say hello, as we normally have a market table set-up with in-season goodies for purchase during our CSA pick-up. We love West Coast Seeds! Pouring over the Seed Catalogue all winter gets us so excited for the growing season. We are a small, one acre, first generation farm located in Timmins, Ontario. Farming up here is an extreme sport, as we have an extremely short growing season. We have a small CSA, we sell to local chefs and we also have our own market store downtown, as well as an online market. Radical Gardens is in its 3rd year now and we are finding it very hard to keep up with demand, so we are ever expanding. 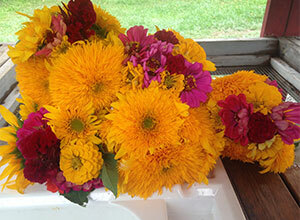 My husband, Louie, and I have been operating a small CSA and self serve produce stand in Procter, B.,C. for three years. Avid vegetable gardeners for years, we decided to step it up after retirement. We have used almost exclusively West Coast Seeds for at least a decade! So far demand has exceeded supply. We hope to expand our customer base in 2016 and would encourage interested customers to put their name on the list. 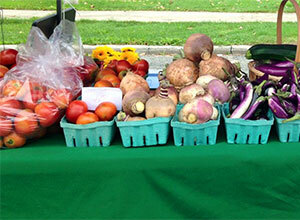 In the meantime, our self- serve produce stand will be open Saturdays and Sundays July and August. 8444 Procter Road E, Procter, B.C. Hello! We are The Fickle Fig Farm in Saanich, Vancouver Island, BC. We are starting our second year at our farm, currently attending the Sidney Thursday Night Street Market (Thursdays 5pm-8:30pm now till the end of September), the North Saanich Farmer’s Market (Saturdays 9:30am – 12:30pm now till the end of October), a 25 person CSA program, and our 7 days a week farm stand on the pedestrian-only part of Lochside Trail. We grow lots of vegetables, berries, fruit, chicken and duck eggs, organic/free run/pastured/no hormone-antibiotic pork, chicken, and XMAS turkeys. We have a 170 fruit tree orchard (still small yet), 2 beehives, rabbits, sheep, Nigerian Dwarf dairy goats, etc. All of this was done on 4 acres of a leased hay field, turning it into a fully functioning uncertified organic farm. We only use compost and manure from our animals for fertility, and rotational grazing. We love West Coast Seeds. Our favourite seed is Selma Fino Fennel! We’ve been harvesting it for a few weeks now, and our customers love it! We do have a few spots left in our CSA program coming up in the next few weeks, so check out our website, and we’ll go from there! Thanks so much for all the love and support! We love growing West Coast Seeds and currently are growing the Beet blend, Scallions, Harukei turnips, tricolour cauliflower, the Thai Dragon peppers – you name it – and we loved the Easter Egg radishes! The Joyful Agriculture project is a small co-operative style garden on a beautiful 22.5 acre farm on the Saanich Peninsula. 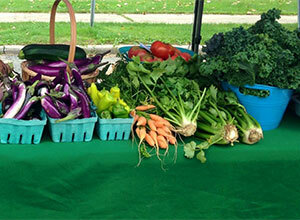 Our members buy weekly produce bags as well as work in the garden to keep things thriving. We are using no-till, permaculture practices; with no herbicides or pesticides. This is our third year market gardening and the first year using a co-operative model. An experiment for sure. We are looking to expand to 0.5 acre to cultivate from the 0.1 plot we occupy now. There is so much potential. We plan to open our membership asap when we know more about the highs and lows of this year’s growing season. We are looking for more people for this year but they would have to be “working members.” We give food box credit to members who contribute at 3-4 hours a month to the garden. The work input it crucial. Anyone would like to join us should contact me. It would be great to hear from them.